Business formal, business casual, slacks. Terminology you’re surely familiar with as it pertains to office attire, but not without a tinge of antiquated despair. 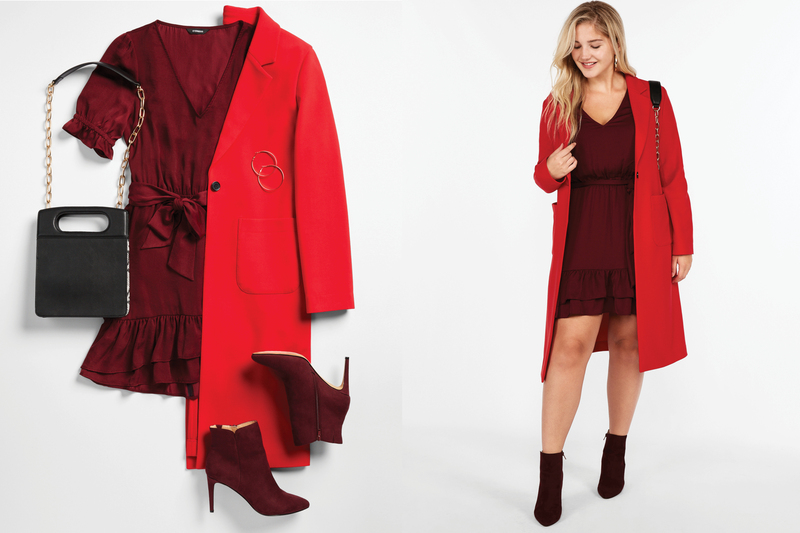 Okay, that’s a bit dramatic, but it’s a challenge to reinvigorate your workwear each season, especially if your sartorial inclinations often lead you towards statement pieces that might feel out of place in a corporate setting. Though there are many jobs that require suits or err on the side of formal, it’s 2018! Women can, and should, break barriers when dressing for work—it’s time to nix notions that workwear equates to stuffy, drab, or flat-out boring pieces. Many offices skew much more casual nowadays and jeans are acceptable in some offices any day of the week. Sneakers are not only the norm, but sometimes a requirement when you’re literally running between meetings. Modern-day professionalism is all about bending dress codes in a way gives traditionally “office appropriate” pieces — like a blazer, trousers, and pencil skirts — a fresh feel. That can mean opting for a suit in a brighter color, dressing up denim with mixed-print extras, or reaching for silhouettes you might not consider “suitable” for the office and styling them in an unexpectedly sophisticated way. Ahead, see how we’re decoding five old workwear rules with fresh style tips guaranteed to breathe new life into your wardrobe in an instant. Yawn. Unless you’re in a formal situation, you can get away with structured tops, elegant blouses, and smart dresses sans blazer on the daily. If you do want to wear the hero piece, take the road less traveled and style one as a top with a thick belt to cinch your waist and keep it closed—sizing up is an easy way to ensure the blazer will wrap all the way around your frame, although playing it safe with a camisole or T-shirt underneath isn’t a bad idea. While a micro mini is best reserved for date night, above-the-knee skirts and dresses can definitely fly. The key is balancing an abbreviated hem with sleeves on top (puffed shoulders are the trendiest answer this season) or, style in a long-line jacket or sweater for a layered look. When it comes to fit, silhouettes that nip at the waist are best — you’ll want to avoid anything that’s overly clingy or low cut. In colder weather, add tights! Depending where you work, you can totally wear jeans. Go for tailored styles in darker washes and without fading, distressing, or embellishment to appear your most polished and add classic-with-a-twist pieces into the mix — we’re for slightly oversized button-down shirts, printed blouses, and animal print mules this season. Has color ever hurt anyone? We think not, so don’t be afraid to stand out in a bold shade. Clean, classic lines will temper vivid hues whether you go for so-now yellow, bright red, or hunter green. Neutral accessories like a structured handbag and pumps in black, tan or white will keep a colorful outfit looking sophisticated and smart. If you work in a more creative environment, go for splashier accents like a leopard print bag and a graphic tee with a bright suit. The office is certainly not the place for tube tops, off-the-shoulder blouses, and slinky silk camisoles, but you can show a little shoulder in sleeveless silhouettes like timeless blouses and dresses. Stick to smart fabrics like cotton poplin, knits, or silk and style with textured fabrics like tweed and wool — all choice for fall.